Well I sincerely hope that no-one has been turning up to the Royal Oak in Naseby since September 06! Yes the Leicestershire/Northants Area meeting has moved just a few miles down the road, from Naseby to Harrington. We still meet within just a couple of miles of the A14, only this time it's junction 2 (The A508 Market Harborough exit) which is a mere 5miles further on from junction 1, meaning it's a little closer for those coming over from Peterborough. 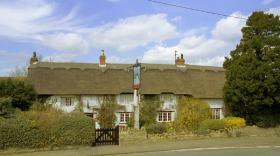 The pub is the Tollemache Arms - hard to miss, being as it is that Harrington has just the one pub. This one does food, and more importantly it also sells Bombardier Ale. Why did we move? Well we had a 'barbeque' at the Royal Oak -we booked it, confirmed numbers and turned up to discover that the bbq chef had sodded off to Tenerife. The landlady was hardly apologetic and said we could use the bbq, we just needed to find a nearby supermarket to buy a load of sausages.... thanks. We drove off to a nearby pub for nosh, and voted to move to the Tollemache Arms, having had a convoy run out to it the month before. When & where does the group meet? 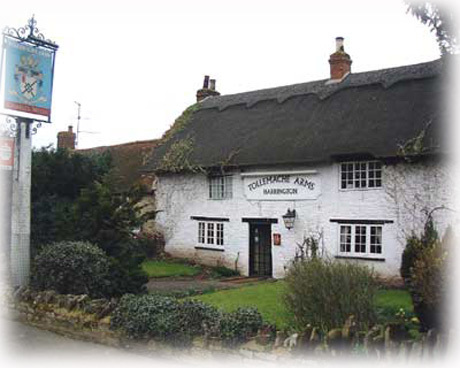 We're now at the Tollemache Arms, Harrington on the first Tuesday of each month from 19:30 onwards. Aside from seeing some lovely Triumph TR7's you also get to see some Heralds, a bob-brown Dolly, Spitfires, sometimes a Stag or GT6, older TRs like the 4a or 6 and all this over a drink and some inane chatter. Oh and we've been joined by Mark from Jigsaw Racing Services - a great guy to have around, and he doesn't even do the big-sell of his company either! If you are interested just come along on the night or you can contact me.